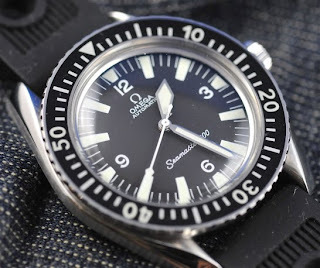 It started sometime ago when I was reading about the military issued Omega Seamaster from the 60s. 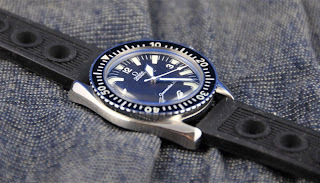 It looked good and I wanted one (I always like the Seamaster). I also found out there were a lot of fakes out there. Then I thought if I could actually assemble one with parts much like what some are doing. So the hunt began. 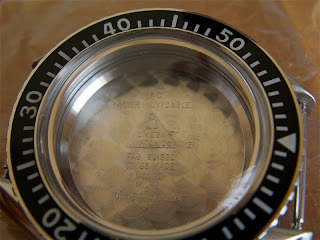 I knew that the case and hands were available, so it was a matter of searching for the dial and movement. I found out that the dial was not easy to find. As luck would have it, I manage to find a unused dial and hands. The dial was still in the original pack and unopened. Ordered the dial and hands and waited for it to arrive. It did and boy was I happy. Note the dial is for calibre 550. I understand this is the 17 jewel version of the 552. 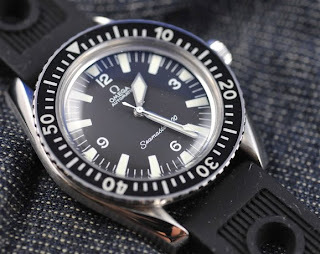 The 550 was used on Seamaster sold in the US as there were some tax issues back then. The next step was the case and that was the easy part as I knew where to get one. With the case ordered, the next step was the movement. Then came the news that the case was not stock and was on order. It was a tense couple of weeks while I waited for confirmation on the status of the case. The case finally came and it was brand new and sealed in the package. The view of the inside of the case. You can see the part number of the case, 166.0324. We can just make out the Omega logo etched on the inside of the sapphire crystal (in the center of the crystal). The movement came next. 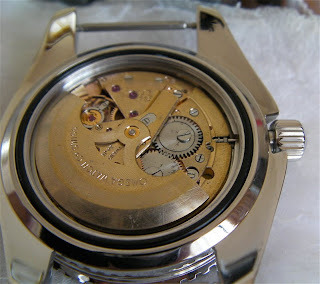 Got the movement or rather an Omega Seamaster that was to become the donor for my project watch. Anyway I call it a homage as the movement is similar to the movement fitted to the Seamaster 300, and is not correct for the year of issue. 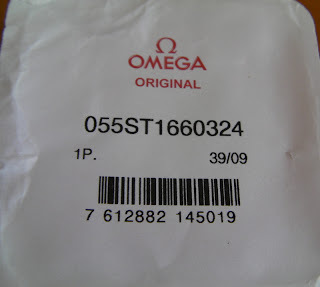 Additionally the case is not correct for the dial as this is the no date dial, so the case should be 165.XXXX and not the 166.XXXX that is available. The watch was sent for a check up and service. I got the watch back and the service people were kind enough to show me the watch on the timing machine. It is currently running -2 seconds a day. They told me that the watch was adjusted in 3 position. It has been cleaned, serviced and worn parts replaced. I gather that the hour wheel and winding stem were changed. 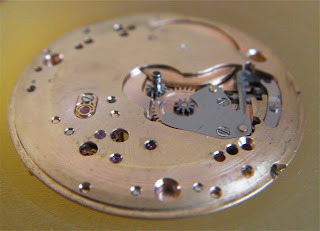 I took the movement out and started to assemble the watch. What to do with the donor case, dial and hands? I sold them. The service guy knew my plans and told me that the new winding stem may be short and gave me an extension stem just in case. Removed the dial from its packaging. 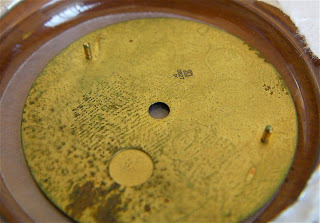 Had a look at the back of the dial to see what markings were there. 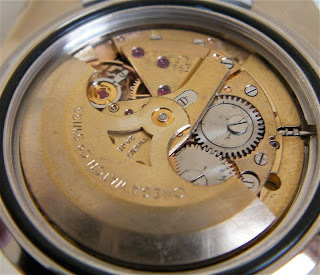 I was told that the earlier Tritium dial had the calibre and year of manufacture stamped on the back of the dial. 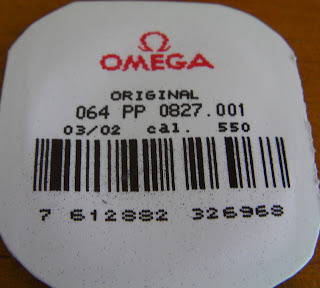 This later Super Luminova dial did not have those markings, just 'ZJ' and '0827P'. Have no idea what these numbers mean. Got everything assembled and put the movement in the case. 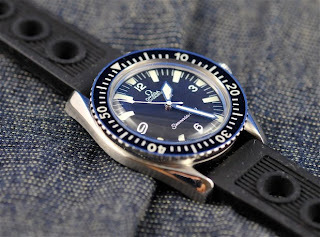 There may be some play as this case is for the date version of the Seamaster 300. 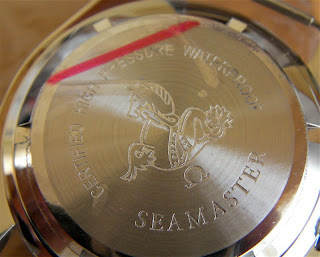 This (date) version of the Seamaster 300 comes with the 565 calibre which is 0.5 mm thicker as compared to the 552. This is due (I stand corrected on this) to the calendar module. 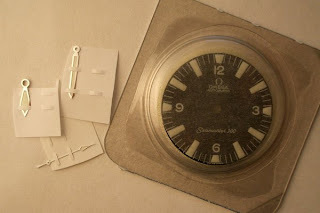 Anyway, your watch service guy can provide you with a thicker movement holder tabs to hold the movement in place. If you notice, the winding stem is too short for the case. Lucky I have the stem extension. It came in handy. 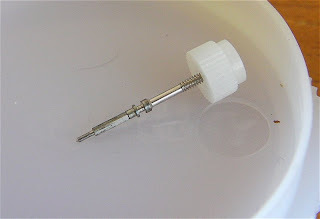 Anyway, got everything done, don't forget to lubricate the gasket on the case back and on the stem tube. Close the case back and we are done. 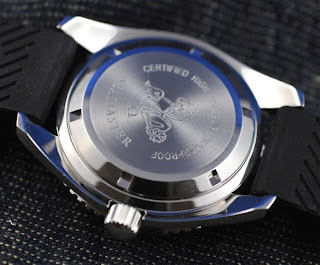 Notice that the new case back has the longer and thinner font as compared to the original Seamaster 300. And the final product? I am loving it. I initially wanted to fit the Tropic strap but changed my mind and fitted it with the thicker Racing type strap. The case back. I just love the hippocampus in the center of the case back. My Omega Seamaster boys out to play and greeting a new family member. 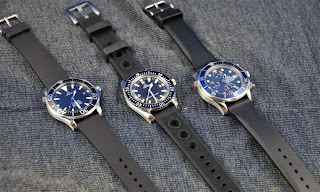 From left, the 2254.50 which I believe was inspired by the Seamaster 300 Vintage in the center and the 2599.80 on the right. I guess the 2254.50 solves my need for the dial with the big triangle. 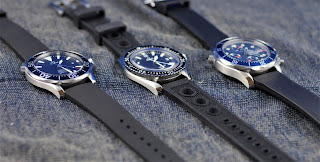 I will be reviewing these watches soon.